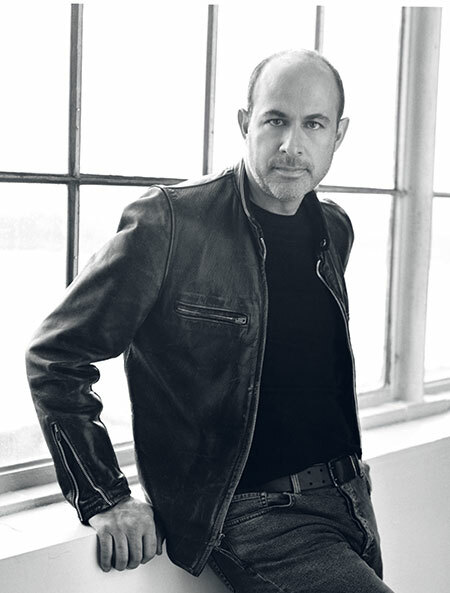 Fashion leader and Detroit native John Varvatos brings his designs back home. BACK HOME Detroit-area native and fashion designer John Varvatos is staying true to his roots with the opening of his first Midwest store on Woodward Avenue in Detroit in March, which will feature pieces exclusively available for and inspired by the city. Taking inspiration from previous seasons, leading fashion designer and Motor City-native John Varvatos is composing this spring season’s lines with innovative, limited-edition, and uniquely-designed fabrics that give texture without weight — and he is bringing this collection to his new flagship location in downtown Detroit. Due to open in mid-March in the Wright Kay Building at 1500 Woodward (one block south of Grand Circus Park), this will be Varvatos’ first store located in the Midwest, and the first high-end designer fashion retailer to open in the downtown district in decades. Varvatos says his plan to locate in the city was more than a business decision. The store will offer full lifestyle brands featuring everything from tailored suits to sportswear and leather jackets to accessories. In addition, Varvatos says he is focused on dialing into the heritage and legacy of the city through his specialized merchandise, including leather jackets, shoes, and T-shirts featuring iconic Detroit musicians such as Iggy Pop and Alice Cooper. The apparel will be introduced on a continual basis. Other outlets that have been looking for space downtown include Tiffany & Co., Restoration Hardware, Trader Joe’s, along with several restaurants and the M-1 Rail line (opening in 2016). Mike and Marian Ilitch also will break ground this year on a new hockey arena for the Detroit Red Wings and a multi-faceted collection of urban villages called District Detroit. The arena, to be located in an area at the northwest corner of I-75 and Woodward, is set to open in summer 2017. In addition to opening his store, Varvatos is exploring the manufacturing of his fashion products in Detroit. And because music is a part of the city and his roots here, Varvatos — who has a record label with Universal Music and Republic Records — would like to open a recording studio in the city. Although he doesn’t carry other brands, Varvatos says he would love to talk with Detroit artisans about giving them an opportunity to have a venue to showcase their designs — whether jewelry, denim, or something else that fits into the mission of the store. “You’ve got an amazing labor force here who want to work and want to be creative. It inspires me to do more there as well,” Varvatos says. Fringed and frayed clothing, bright flowers, and bold patterns; leather skirts, pants, and shirts; and gingham check print will be part of the styles for women this spring. For a more structured look, designer Nina Ricci has contributed jackets with military pockets that can be worn for business. “It is very feminine, but still has a strong look to it,” Daskas says of Ricci’s clothing.